Endeavor Robotics in Chelmsford supplies robots to US and allied military forces. FLIR Systems Inc., an Oregon maker of night vision equipment, will pay $385 million to purchase Chelmsford-based Endeavor Robotics, which manufacturers military robots. The transaction is expected to close by the end of March. Endeavor is now owned by Arlington Capital Partners, a private equity firm in Maryland. It was formerly part of Bedford’s iRobot Corp., best known for its Roomba line of robotic home vacuum cleaners. But iRobot sold the military robot business to Arlington in 2016 for $45 million, to concentrate on the consumer goods market. 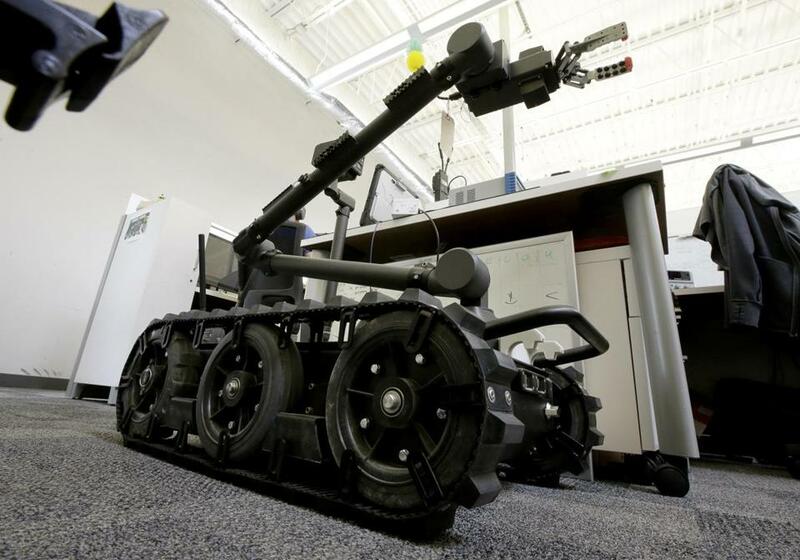 Endeavor is a major supplier of robots to US and allied military forces, as well as to police agencies. It makes small surveillance robots than can be carried in a backpack, as well as heavy-duty machines with powerful motorized arms. The iRobot machines have been used to search the rubble of the World Trade Center after the terrorist attacks of Sept. 11, 2001, and to assess the damage after a tsunami struck the Fukushima nuclear power complex in Japan in 2011. The company recently won a $32 million contract to upgrade the US Army’s existing robot fleet, and it’s competing for a $400 million Pentagon contract for new robots. FLIR, founded in 1978, makes cameras that capture the infrared radiation from warm objects, translating it into visible light. The company’s machines are used by soldiers and police to see people and objects in the dark. It also makes lower-priced night vision systems for consumers that can be attached to a standard smartphone.